The year is 1998. 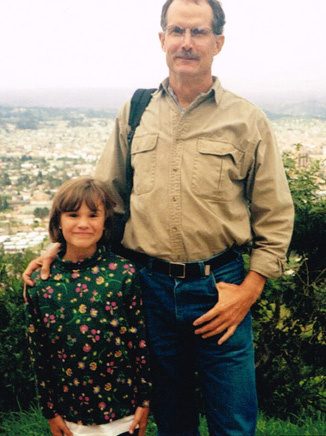 Tom Lee, a former Marine with a master's degree in education, has just been offered a chance to complete his University of Idaho Spanish and English as a Second language (ESL) degree in Ecuador. His only concern was that it meant relocating his family, including his 8-year-old daughter Niki. It would be the first time anyone in the program had taken a child along. His advisor at the time, Modern Language and Culture professor Irina Kappler-Crookston, had a solution. “We knew that the only way for him to finish his Spanish degree quickly and to become fluent in Spanish was to go abroad. Together we chose the Ecuador,” explains Kappler-Crookston. In addition, she arranged for him to stay there for four months rather than the normal nine, housed with a family she knew, and with a school lined up Niki. There was also the volcano. “We had volcano days rather than snow days, “Lee explains. “It was very stressful with an 8-year-old and we had to move houses several times to get out of the way of mudflow routes." It was a fitful eruption that raged on and off throughout the November of 1999, raining three and four inches of ash. Niki, for her part, wasn't deterred. “I remember thinking, 'oh, I can adapt to a new situation,'” she says. This is mindset that has served her well. In the years since her stint in Ecuador, her interest in languages and travel has taken her to Brazil, Canada, Chile, France, and Azerbaijan. These experiences also led her to pursuing so many degrees. “I couldn't decide,” she says. 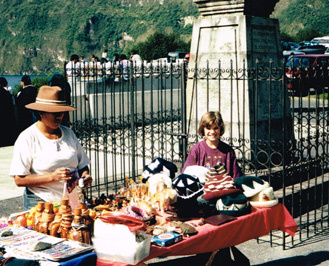 She adds that integrating her international experiences as part of her education allowed her to create a personalized program that was unique. 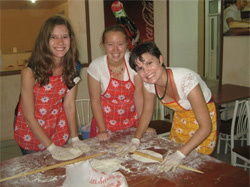 Niki Lee making gutab, a traditional Azerbaijani dish with two friends. Incredibly, Niki's older brother Jack Lee also attended UI and graduated with a Spanish degree. Like his sister, he traveled abroad - this time in Murcia, Spain, where he studied classical guitar and he took all his coursework with regular Spanish students. Kappler-Crookston notes her satisfaction at being able to mentor so many members of the Lee family, as well as countless other students who have studied abroad. Clearly these experiences continue to create ripple effects as all three put their language skills to good use. Jack Lee currently works on a cruise ship, Tom Lee works at Washington State University as an ESL instructor, and after graduation Niki plans on traveling throughout Europe with hopes of living and working there.